Our FRC team was founded in the fall of 2016 by our Scott Smith and Julie Occleshaw. Neither of them had any past experience with FIRST so this was definitely a learning curve for the two of them. We originally started off as an FRC team, but have added two FLL and five FLL Jr. teams which many of our FRC team members mentor. Our Vision: We are an inclusive team of diverse students working together to learn about STEM education in an applied setting. We believe that STEM is for everyone and it is our mission to inspire and support others locally and globally to learn more about STEM. We also strive to educate others by sharing information and support Mental Health related issues as a key element of our outreach initiatives. ​Bryan is a Technology Education and Senior Robotics Teacher at North Surrey Secondary School. 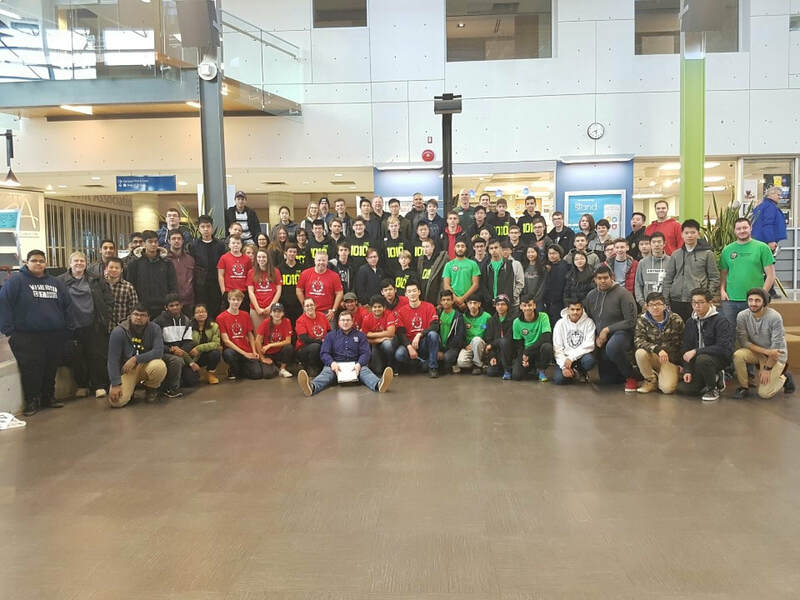 His team was awarded the Industrial Design award in 2017 at the Western Canadian Regional in Calgary, Alberta, as the mentor for FRC team 6008. He is now the Design and Build Team Mentor for FRC Team 6390 Hephaestus. Martin is a Technology Education Teacher at North Surrey Secondary. He is currently the Programming Team Mentor for FRC Team 6390 Hephaestus. Ryan is a Technology Education Teacher at North Surrey Secondary. He is currently the Programming Team Mentor for FRC Team 6390 Hephaestus. ​Tammy is a Business Teacher at North Surrey Secondary. She is currently the Administration Mentor for FRC Team 6390 Hephaestus. Scott Smith is the Technology Education Helping Teacher, SD36 and is the former Lead Technical Coach/Mentor for FRC Team 6390 Hephaestus. He is an SD36 “Coding Team” member and visits elementary schools to teach and support Computational Thinking, Coding & Robotics. Julie Occleshaw has been an educator with SD36 (Surrey) since 1999 and had been in her position as the Career Development Facilitator and Careers Department Head at North Surrey Secondary School since 2009. She is currently the Vice Principal at Earl Marriott Secondary. Julie is also a Summer Learning Principal for SD36. 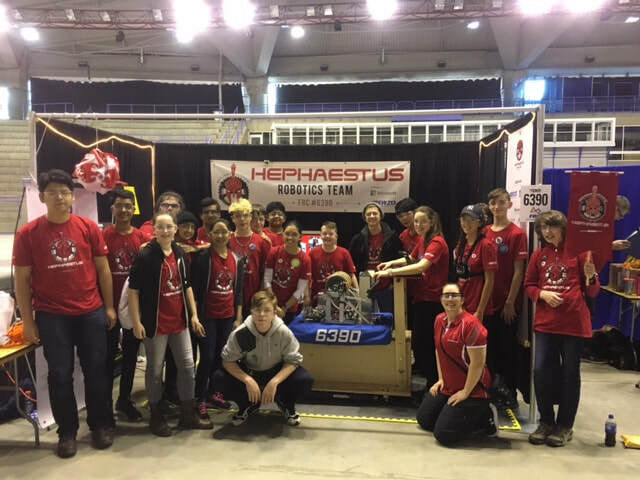 2016/17 Hephaestus team at Calgary during the Western Canada Regionals in our pit (April 2017). Want to see what we have been up to? Well, check out these newsletters we made. Check out these articles that we were featured in! ​We Would Love to Have You Visit Again Soon!